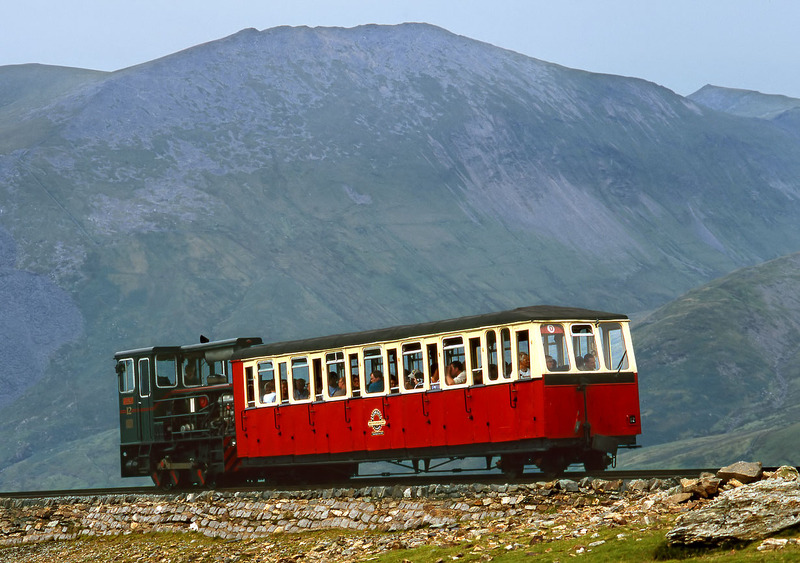 Snowdon Mountain Railway 0-4-0 diesel locomotive 12 George pushes its single coach up the mountain on 6 August 2002. Built by the Hunslet Engine Co, Leeds in 1992, this is the last of a batch of four similar locos that were added to the resident steam fleet from 1986 onwards. It is powered by a 12 litre 320 Horsepower (238 kW) six cylinder turbocharged Rolls Royce engine.